Interactive and smart display system of an intelligence building is in a fast growing phase. 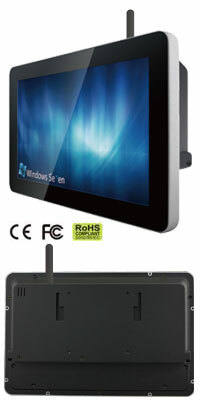 Winmate 10.1" Multi Touch Flat Panel PC (W10ID3S-PCH1 and W10ID3S-PCH1-PoE) is designed to fulfill the needs from this growing market and now it comes with WiFi. If you have any technical questions, sample request, or require more product details, please contact your current Winmate Distributor or local Winmate vendor. If you can not reach them, welcome to send enquiry to newsletter@winmate.com.tw and we will help you to find immediate support in-short time.